Fallen Branches, Limbs or Trees - We Have Denver Covered. 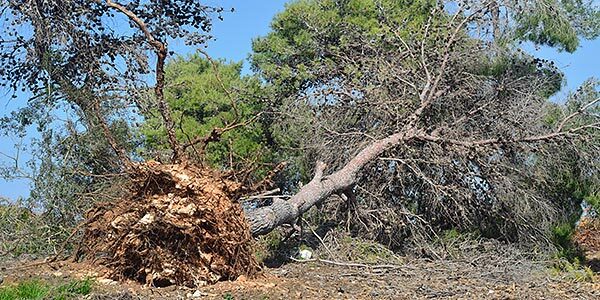 The forecast for the Denver Metro Area can be quite erratic – high winds, large snowstorms, heavy rains – leaving your trees highly susceptible to damage. The Splintered Forest crew can help you prepare your trees for a storm, using pruning to help make them more resilient and we can also assist with cleanup after a storm. Contact us today for a free estimate! Storm Cleanup - What Am I Responsible For As A Denver Property Owner? According to the City and County of Denver, property owners in Denver are responsible for cleaning up debris from trees (including limbs on the ground) and trimming trees that are on private property/any trees within the public right-of-way adjacent to their property. If you have questions about a right-of-way tree, visit the City and County of Denver website at https://www.denvergov.org/content/denvergov/en/denver-parks-and-recreation/trees-natural-resources/forestry-trees-.html or contact Denver Forestry. While it is impossible to completely protect your trees from severe storm damage, trimming/pruning trees while they are dormant is a great way to help your trees if a storm hits. Properly trimming will make them more resilient and less prone to damage (broken branches, stress cracks, etc). During Denver snowstorms, it is a good practice to lightly brush fluffy snow off the limbs, using a pole or broom handle to reach higher up branches. However, it is not recommended to shake snow or ice off of branches. Limbs that have been coated in snow and ice can become very brittle and shaking them can cause them to break. 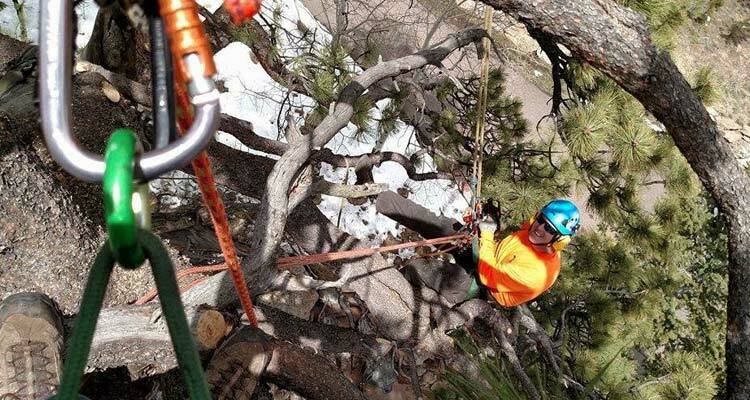 The Colorado State Forest Service (CSFS) cautions both home and business owners in Denver to be cautious of door-to-door tree care workers looking to remove or repair your trees after a storm has moved through. Do you have a current Certificate of Insurance (COI)? Do you have a website and references from previous clients? Can you provide a written estimate for the work to be completed? If a climber is needed, are they ANSI and OSHA compliant?